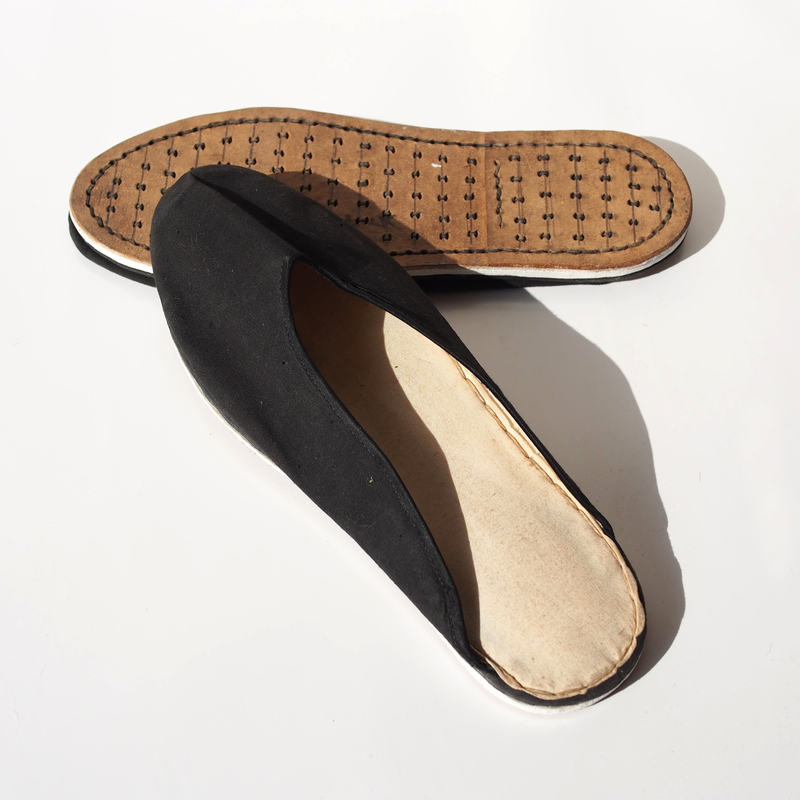 The first record of slipper in China were found in the Nan Song Dynasty 1200 AD, not invention but in a travel log for a visit to India, a pair of shoes with open heel must be a novelty to the ambassador. It is recorded in detail that there are 2 types; one type is probably the ancestor of flip flop (the paduka), it has a leather sole and a tiny bone in the middle, one would wear it with the tiny bone in between the toes. The second type has a red leather strap that run around the sole of the slipper (who anyone know what is this other type that the traveller has seen/).